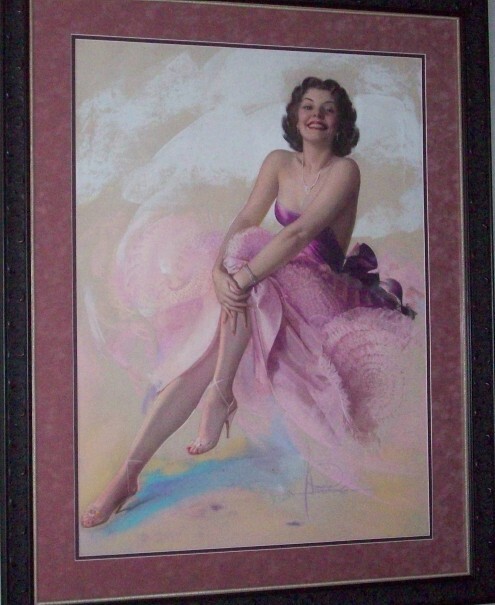 This large pastel, titled "Delightful" pictures Rolf Armstrong's favorite model, Jewel Flowers. It was used in the 1961 Brown and Bigelow calendar line. Armstrong always painted from live models, which is evident in this pastel, as she looks as if she is sitting in your living room.